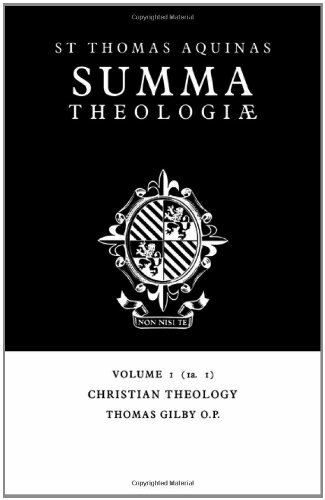 The Summa Theologiae ranks among the greatest documents of the Christian Church, and is a landmark of medieval western thought. It provides the framework for Catholic studies in systematic theology and for a classical Christian philosophy, and is regularly consulted by scholars of all faiths and none, across a range of academic disciplines. This paperback reissue of the classic Latin/English edition first published by the English Dominicans in the 1960s and 1970s, in the wake of the Second Vatican Council, has been undertaken in response to regular requests from readers and librarians around the world for the entire series of 61 volumes to be made available again. The original text is unchanged, except for the correction of a small number of typographical errors.